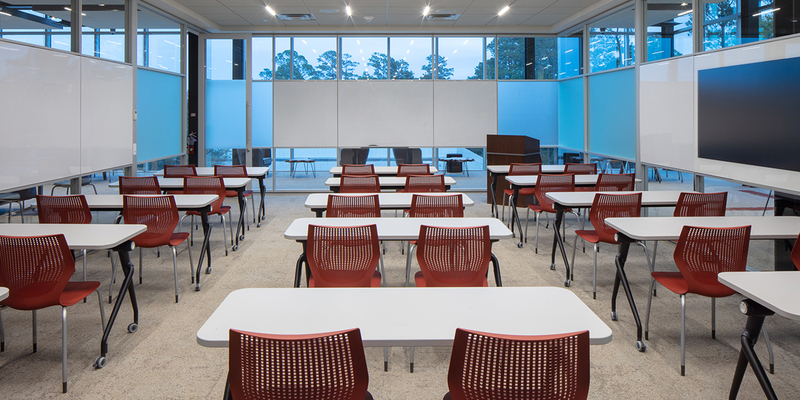 Saint Joseph Seminary College’s enrollment has significantly increased in recent years, creating a demand for updated housing and academic upgrades. 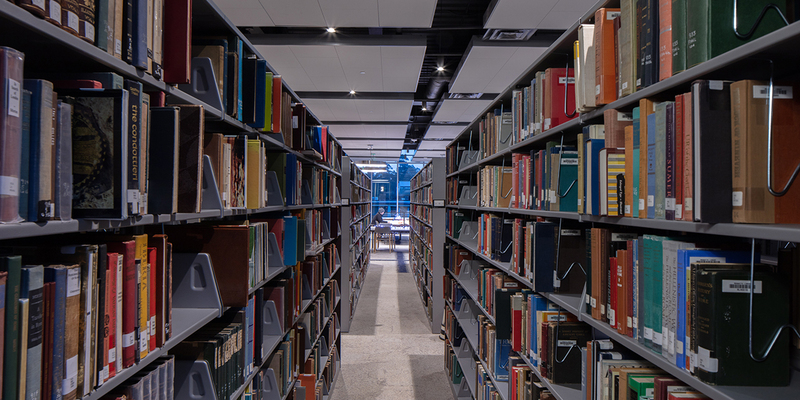 To accommodate this growth, Rouquette Library needed a new home to make possible the return of Savio Hall, where Rouquette Library once resided, to its original function as a student residence. 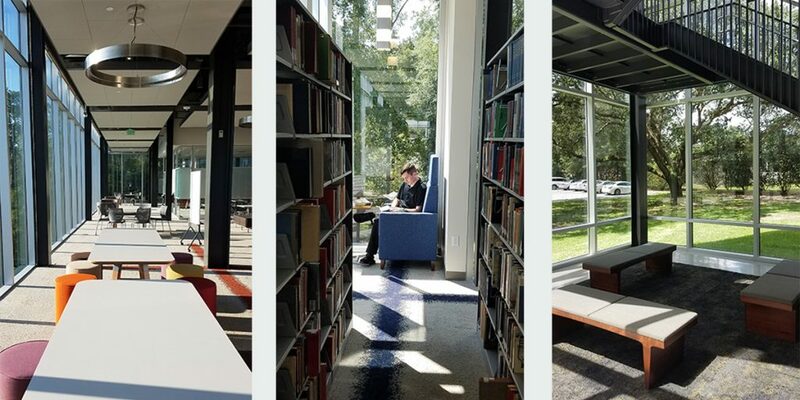 The site for the new library was carefully selected in a location that does not disrupt the current mid-century modern master plan of the campus, and also places it in a location that visitors can access without compromising the private sectors of the campus. 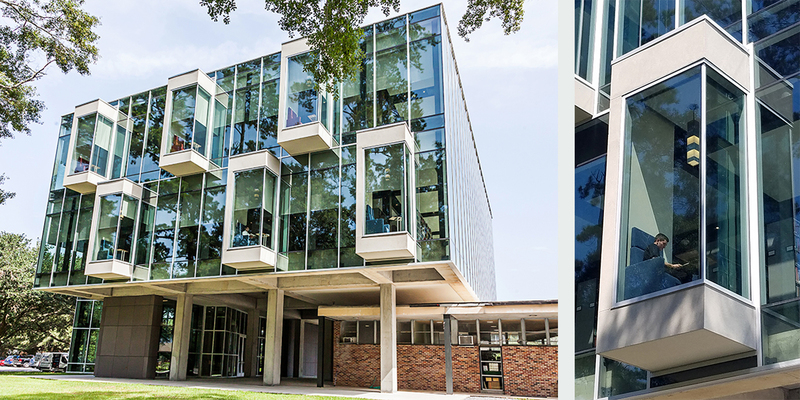 The site selected was the former swimming pool site. The building was designed with three stories, with the ground floor used as exterior covered space for activities andwith easy access to other activites on the campus. 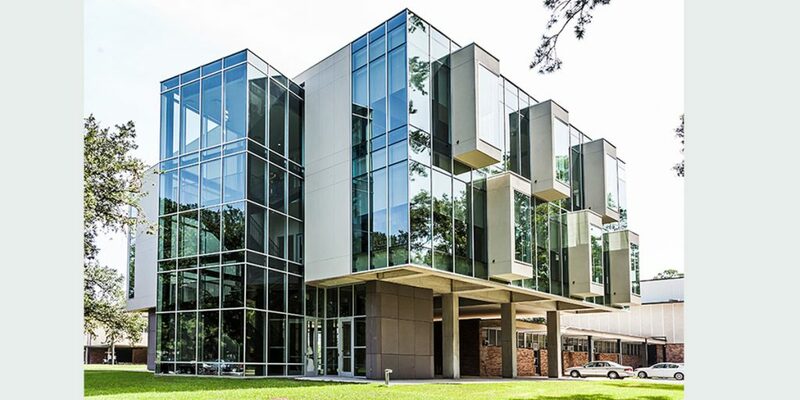 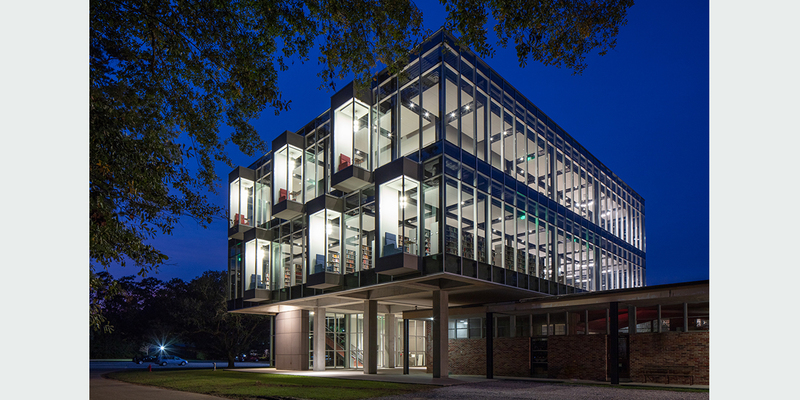 The elevated structure not only reflects the elevated design of nearby Pius X Hall, but also offers protection for the seminary’s book collection in the event of flooding. 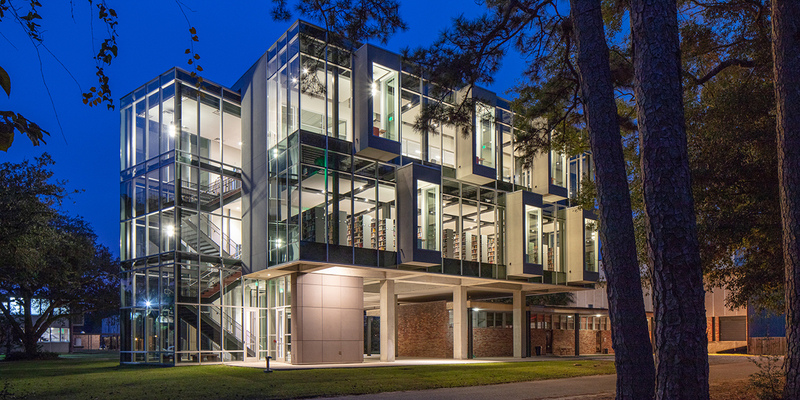 The second floor houses the main collection with faculty resources for research, writing, and reading. 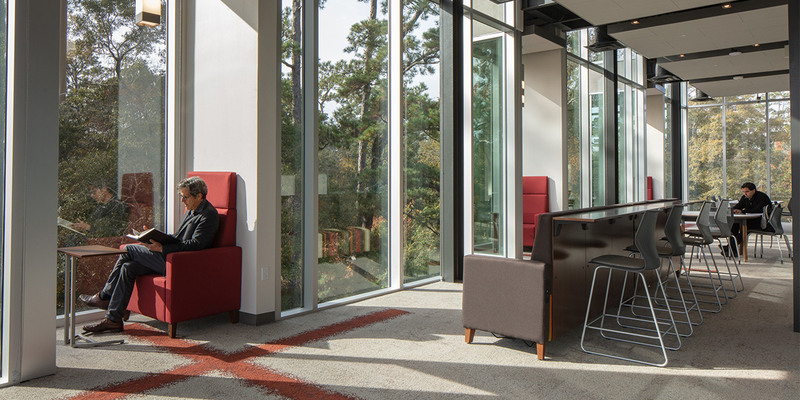 The third floor provides collaborative student space along with two conference rooms for small lectures and meetings. 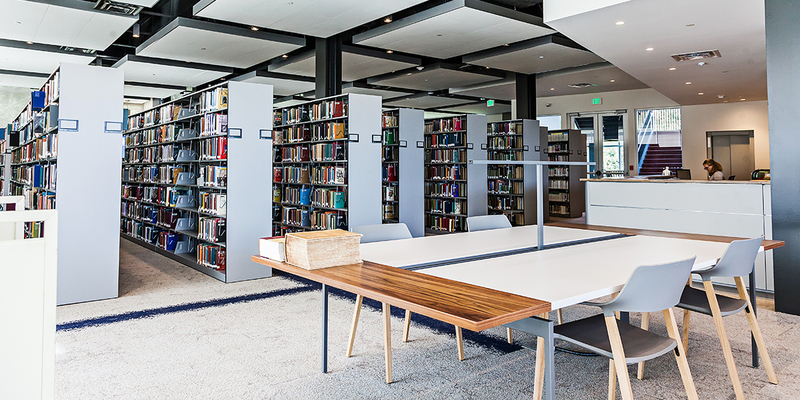 The third floor will also house the library’s collection of bound serials and offer extended hours, until 10:00 p.m., each evening. 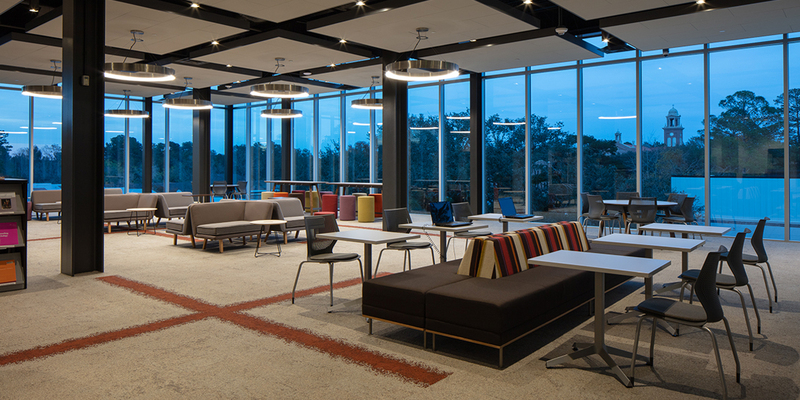 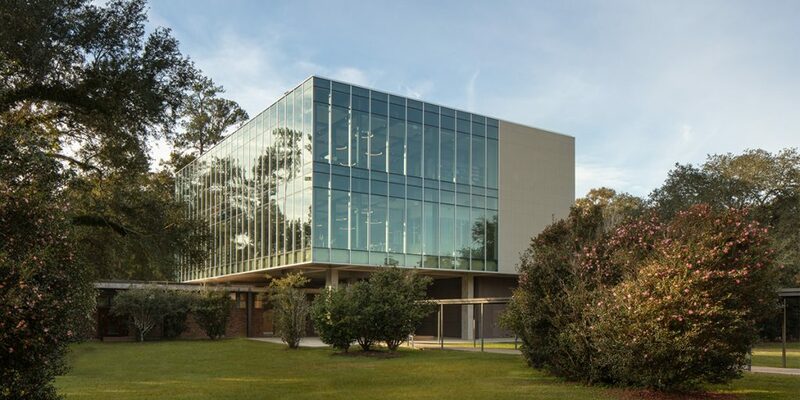 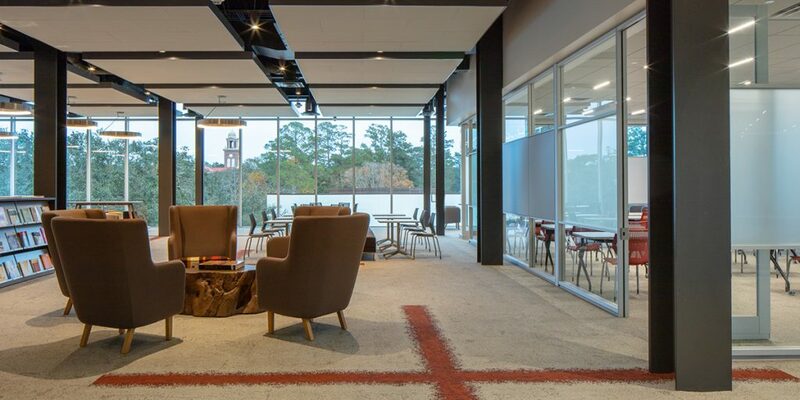 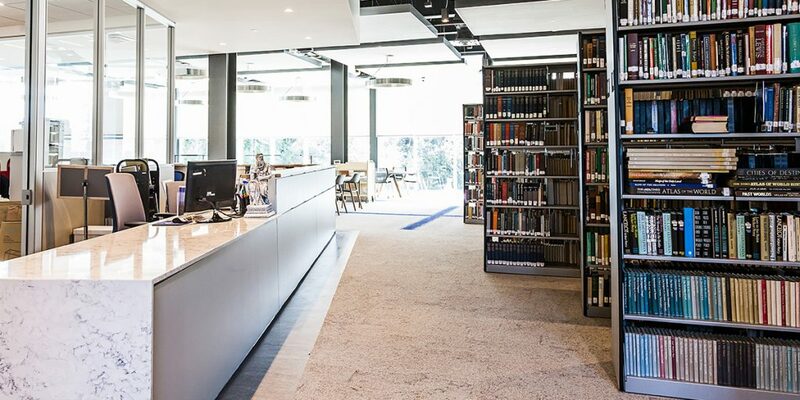 In addition, as the seminarians love the views of their campus, the new library design provides a nearly 360-degree panorama of the entire campus.